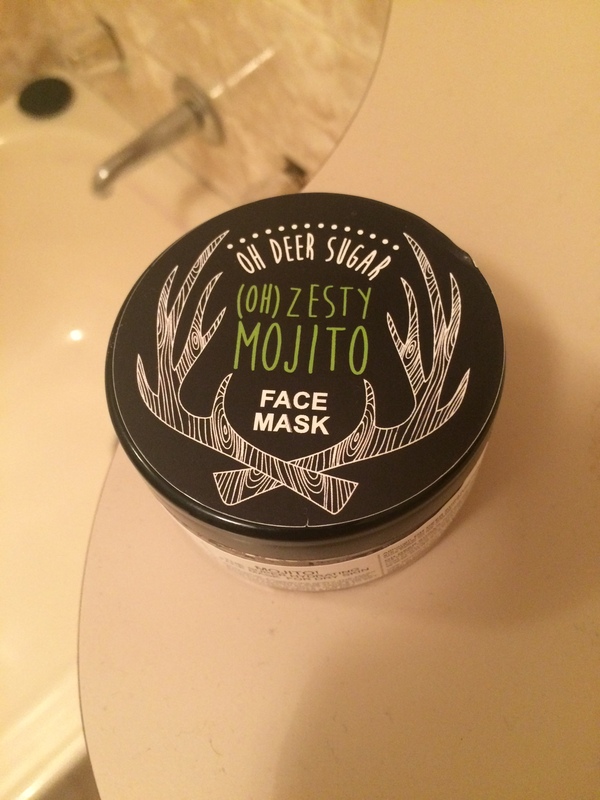 Today I’m talking about another Oh Deer Sugar item and *spoiler* I really love this one. There’s also a funny little story that goes with this one. This was the first item that I really wanted to purchase from Oh Deer Sugar when they first opened the store, so I’m really excited to talk about it today! When I first purchased this product from the store, it was red and it smelt beautiful. 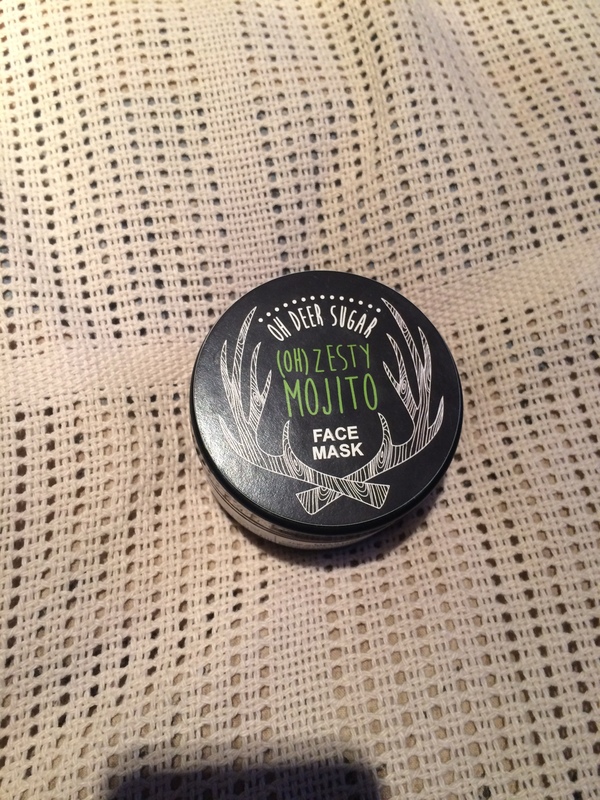 There was a little pool of what I like to call ‘mask juice’ sitting on the top and from my experience with LUSH face masks, I just thought that that was all normal and I would just have to mix it in when I used the product. When I mixed it all in, I noticed that the colour of the mask really stained my finger, which is pretty normal for me because everything stains my skin really badly. You should see me when I’m in Priceline, it is a horror show. So, I used it on my face, without thinking about it. I even took some rather fancy pictures on Snapchat. I even took a proper blogging photo and I felt like such a weenie trying to take this photo because I had to climb on my bath to get the best lighting in that room. After all of these photos, I got into the shower to wash it off and go ahead with my normal routine. After washing off the mask, I noticed that my fingers were still stained from the mask and I stepped out of the shower to see that my face looked like a tanning catastrophe. I looked like a little Oopma Loopma and let me tell you, orange is not a good colour on me. At all. I tried to get it off with my oil-based cleanser, which worked out fine but my skin was still stained. Thank goodness for makeup because otherwise I’d have some explaining to do. 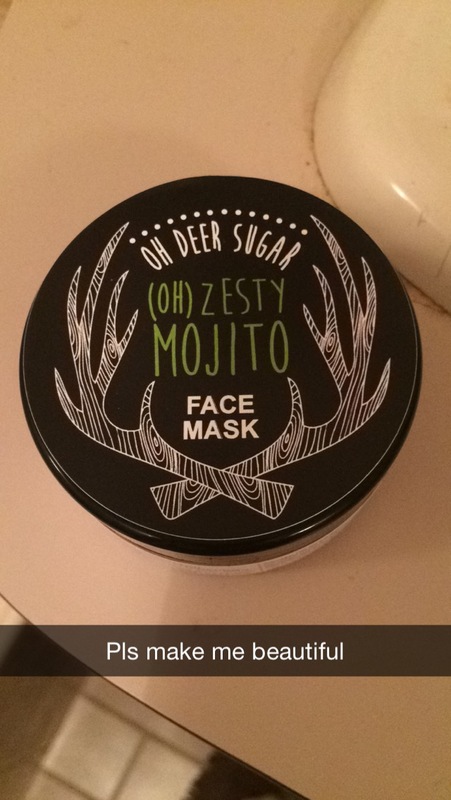 Oh Deer Sugar posted a photo of their mask and told everyone that it hadn’t been mixed properly and they’d be changing the formula. 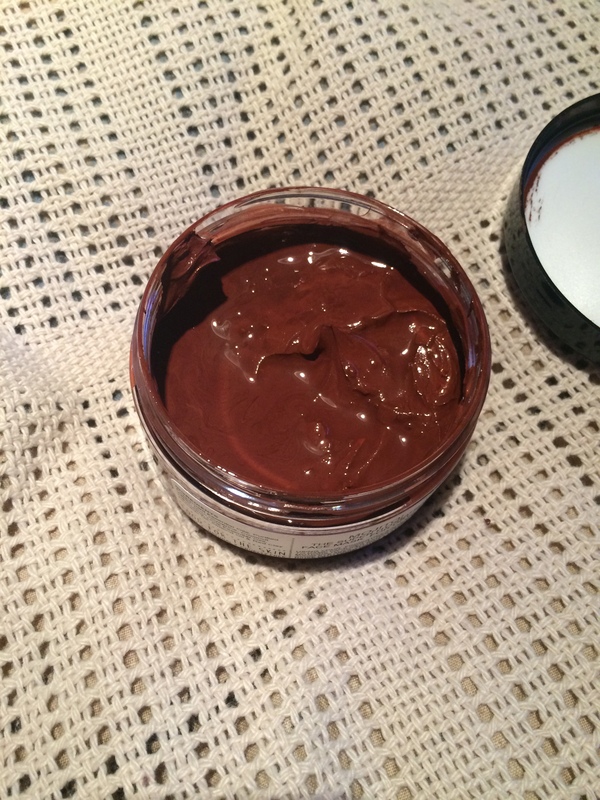 I returned my Oompa Loompa making face mask and exchanged it for the new and improved formula and I am so excited to say that they wait was very worth it. 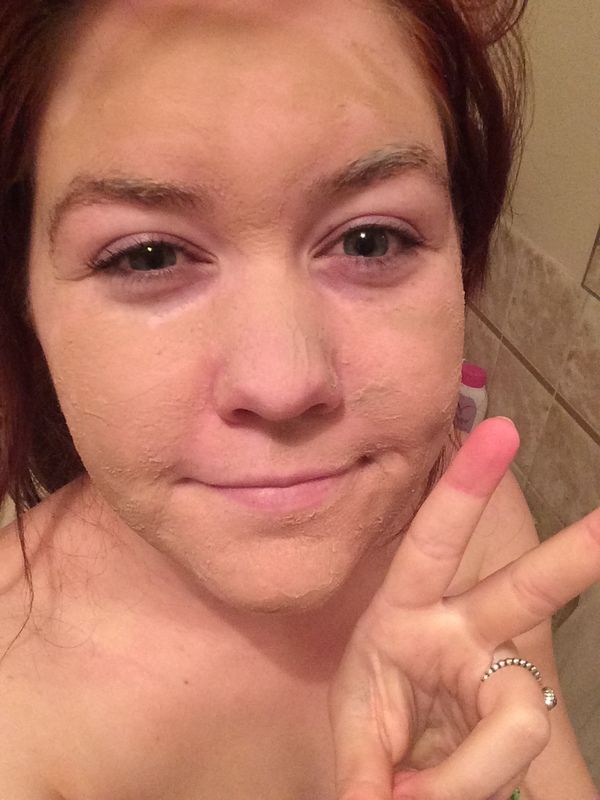 Originally the mask had Red Clay in it and in this new version, they have made it with Yellow French Clay, which made for less exciting mask selfies but at least I know that if this was to stain my skin, it wouldn’t make much of a difference. However, this new formula didn’t stain my skin at all and it felt amazing on my skin. It is quite thick and sets in just over 5 minutes. The old formula was really thin and watery and took a long time to set and did virtually nothing for my skin. Just in case you’re wondering, I do have clothing on in this photo hahaha. And I don’t know why my finger is so red hahaha. 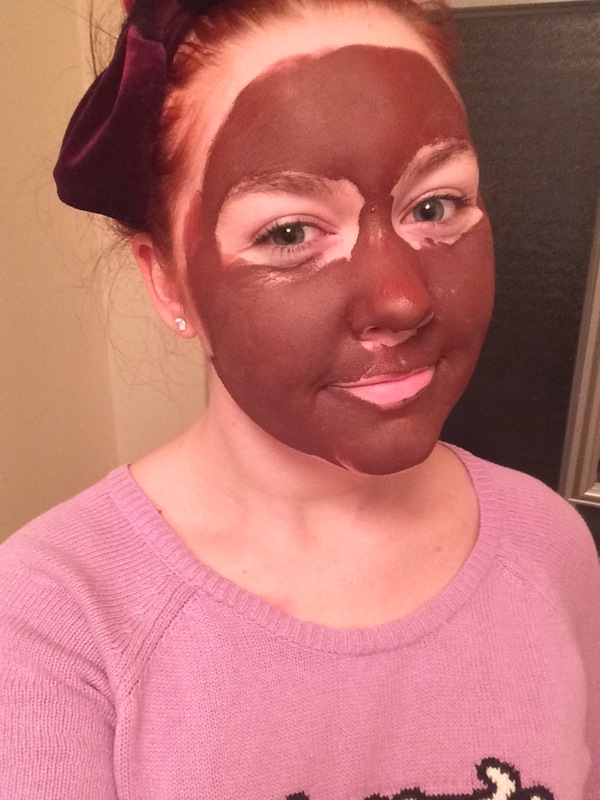 But this photo is basically just so you can see how it looks on the skin. I kept it on for a little longer than 10 minutes, while I was getting myself ready for a shower and then took it off in the shower, like I usually do. I immediately was able to feel how hydrated my skin felt. I don’t have particularly dry skin but I do get dry skin in the winter time and this immediately made my skin feel better. This is accurately labeled ‘food for the skin’ because I know my skin hasn’t felt this good in a long time. 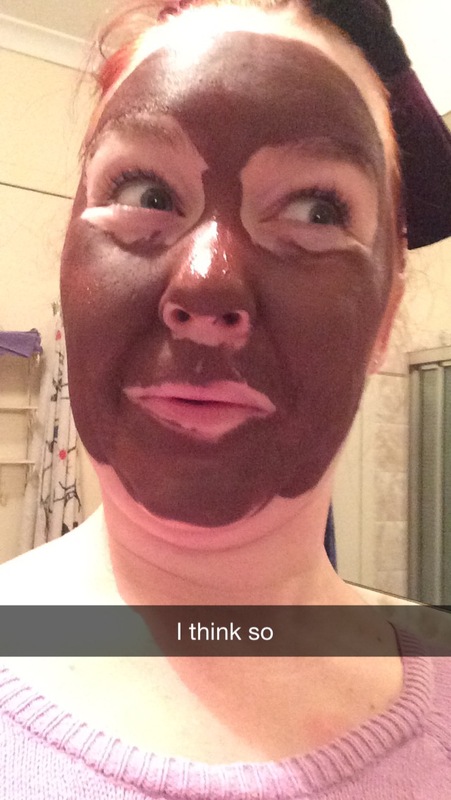 Even LUSH face masks don’t make my skin feel this good. I would highly recommend this product. 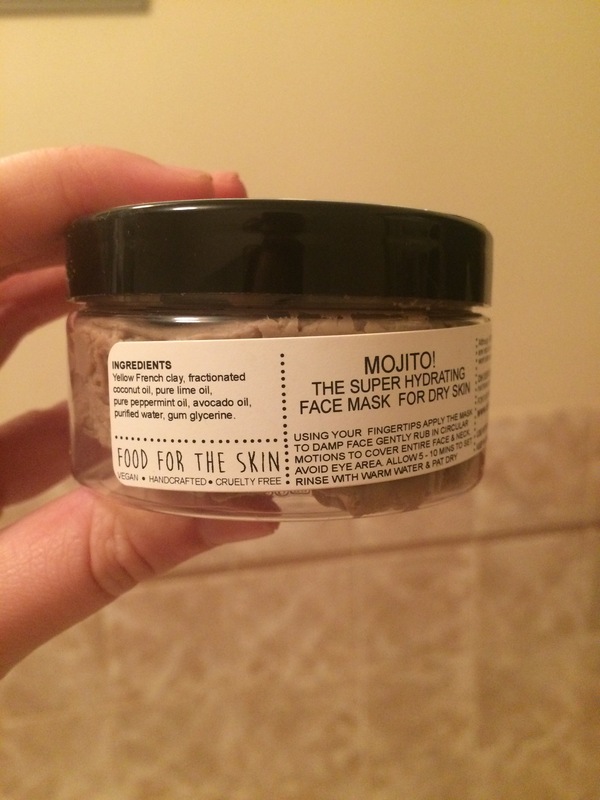 It is a pricier product but it lasts a long time and I know that I will get a lot of use out of it. Skincare can be really hit of miss for me so I am very excited to talk about something that really worked for my skin!